It might be the exposure from American Crime Story, but the legendary Versace Mansion in Miami, Florida is one of the most visited tourist destinations in South Beach. Or, it could simply be that the legendary style of Gianni Versace is still a forceful draw for anyone who loves the brand’s aesthetic. 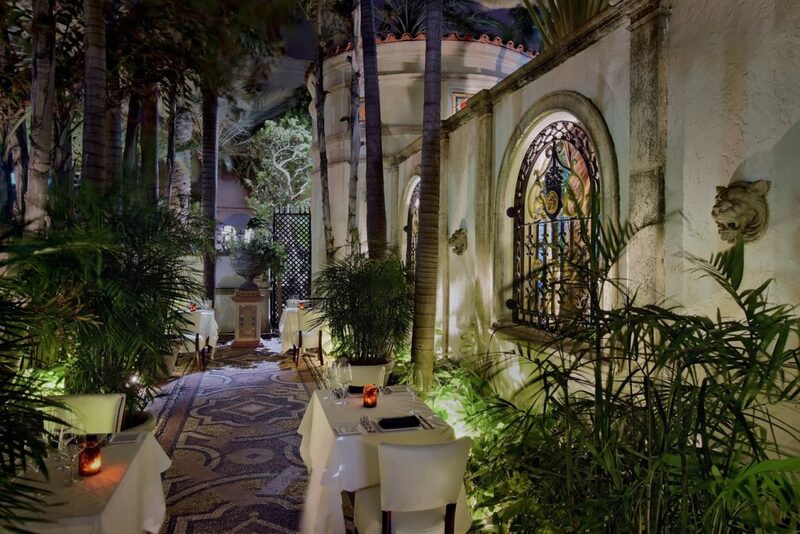 The mansion, now a gracious hotel still filled with luxury interior design features, has retained much of the sheer grandeur that the late designer Gianni Versace lavished upon his residence. It wasn’t a surprise to anyone that Mr. Versace approached the renovation and decoration of his palazzo with an over-the-top aesthetic. His fashion line was never known to appeal to shrinking violets. At the time he fell in love with what was then known as the Amsterdam Palace in 1992, his collections were riots of color and pattern. An example of a fabric from his Spring collection, for example, somehow combined baroque swirl and leopard spots into a dramatic print. Versace embraced the existing ornamentation of the Spanish Revival gem, and set about transforming it into his own U.S. palazzo. 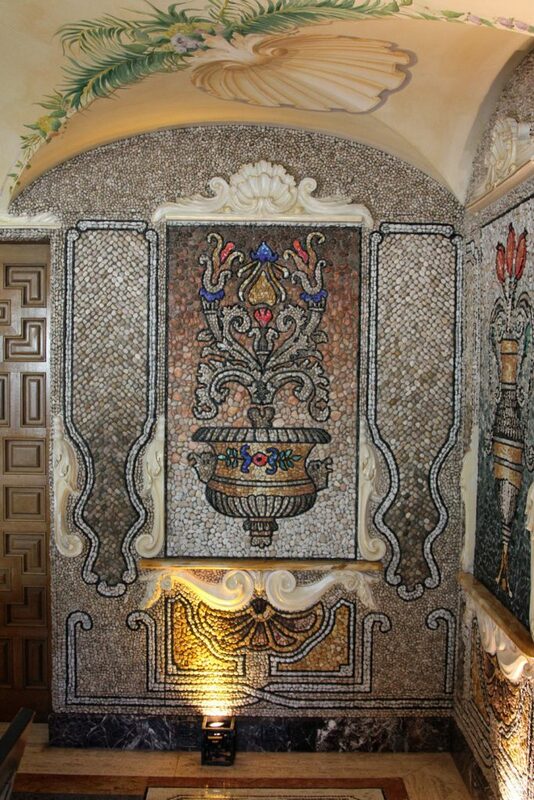 He was a passionate collector of mosaic art, and installed an elaborate Mediterranean-style Mosaic Garden. The designs featured a pantheon of Greek gods and mythological figures – chief among them Medusa, which is still featured on the Versace logo today. 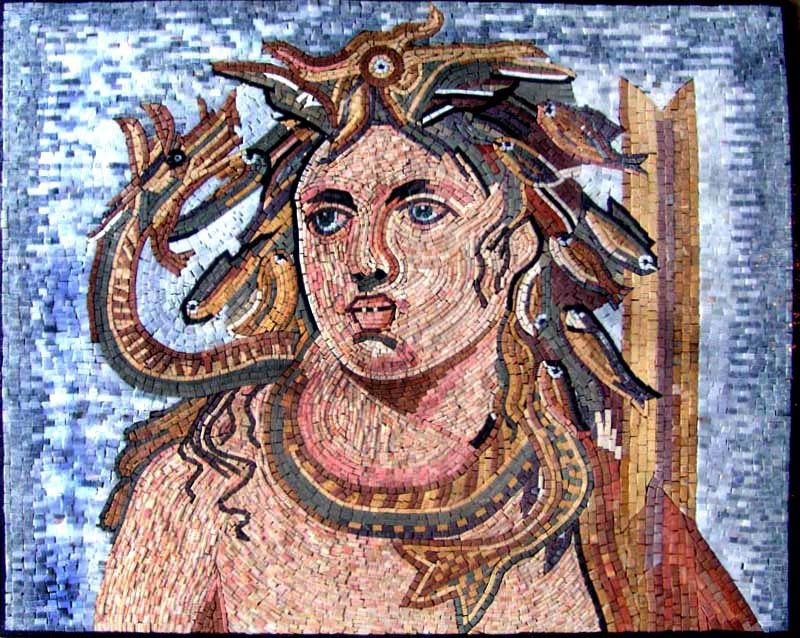 The most elaborate Medusa is featured at the pool, which is decorated with more than a million mosaic pool tiles, some of them 24 karat gold. 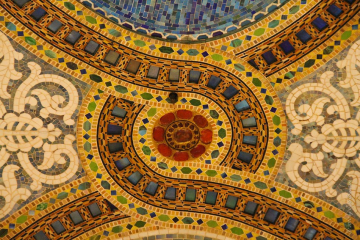 Unbelievably, the mosaic was first created in Versace’s home town, Reggio Calabria, Italy, where each tiny piece was numbered taken apart, and then shipped to Miami for reassembly. Each of the 10 bedrooms at the Versace mansion Miami was unique and featured a themed approach. Mr. Versace was famously close with his family, and their personality was reflected in their suites at the home. 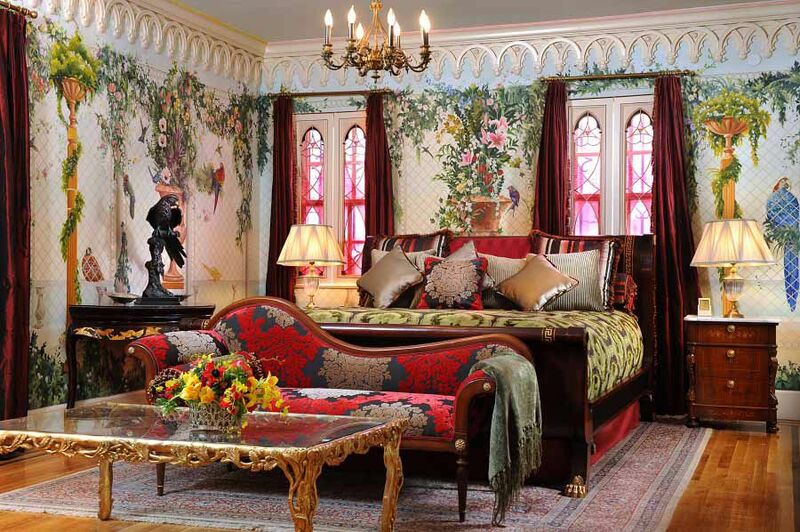 One example was the Parrot Suite, the room of his young niece Allegra, who adored the birds. It’s now called the Aviary Suite, and is available for nightly stays. It’s possible to get the feel of the vibrant effect of the wall art seen in this room by utilizing some of the bold floral and avian motifs we carry. 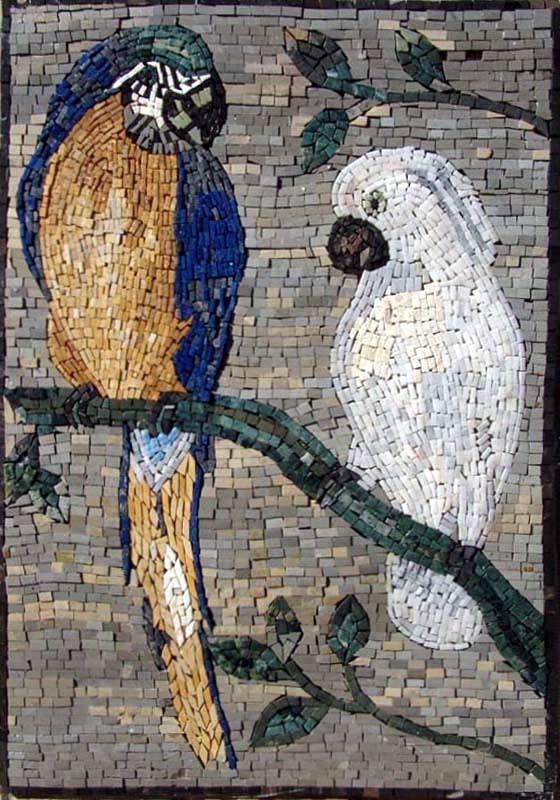 A perfect example of a design that would blend seamlessly into the Versace home decor would be one of our parrot pieces, or one that utilizes the arbors and bouquets that form part of the look. 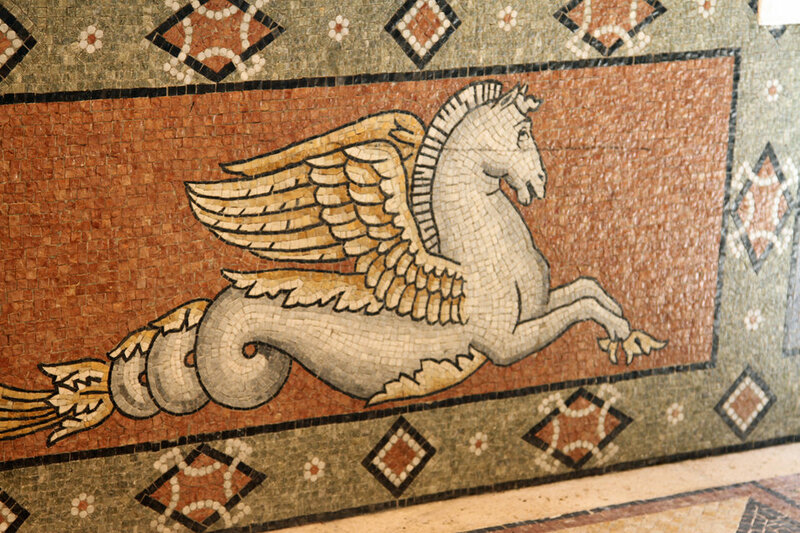 Mosaic work was featured throughout the palazzo’s guest rooms, with one suite actually called the Mosaic Suite. Interestingly, Versace’s friend and frequent house guest Madonna favored the space, as she enjoyed the acoustics of the lavishly tiled bathroom. 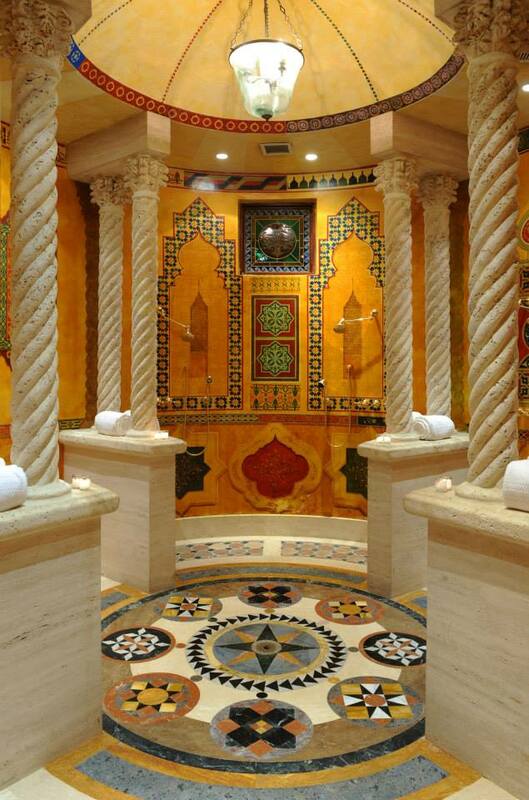 The space is heavily inspired by Moroccan tilework and architecture. The look of the shower tiles and floor mosaic work can be used for inspiration by incorporating designs that echo the strong architectural elements and colors that were so influential in Moroccan buildings. 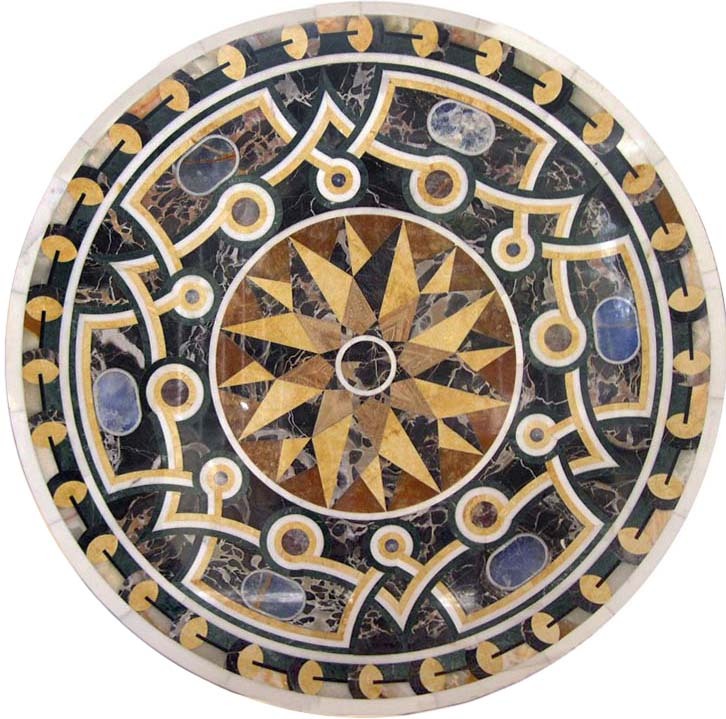 When using mosaic wall art to play off the floor medallion design, a similar effect can be achieved by using borders with a strong pattern. 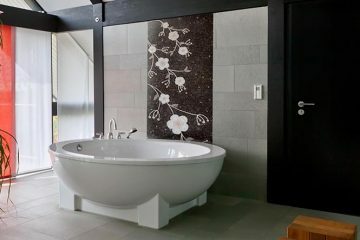 All of these mosaic designs, of course, are perfect for bathroom environments. that harkens back to the grotto rooms that were popular in centuries past. 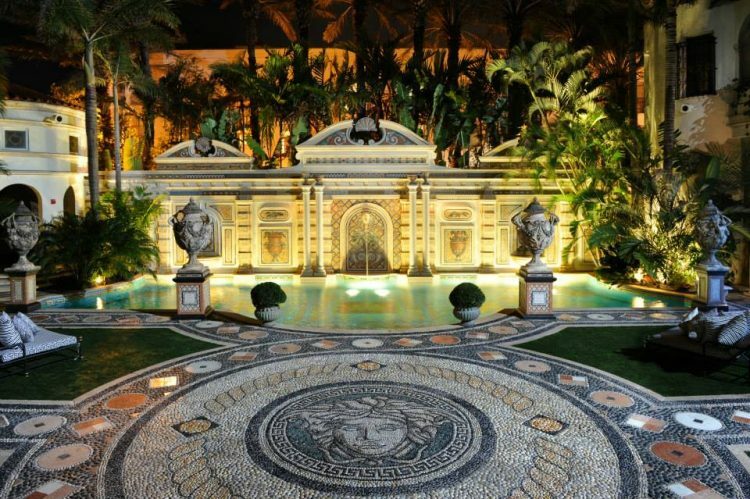 With his untimely death in 1997, Versace’s mansion was eventually sold, and passed through different owners with the threat that his original vision would be renovated away and forgotten. 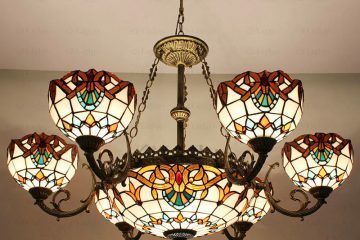 After all, the original house furnishings were mostly auctioned off in 2001. Although the property was being used as a public venue by subsequent management, there were those who feared that the monument to his legacy would be changed. 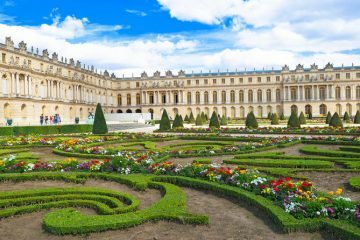 Fortunately, the current incarnation as luxury accommodations and event site has ensured that the property remains much the same. There are even artisans who are employed to keep the mosaic tile work in fresh and perfect condition. With millions of tiles in place around the building and grounds, it’s a position that offers job security. Adding the Versace Mansion style to your own home is not that difficult. 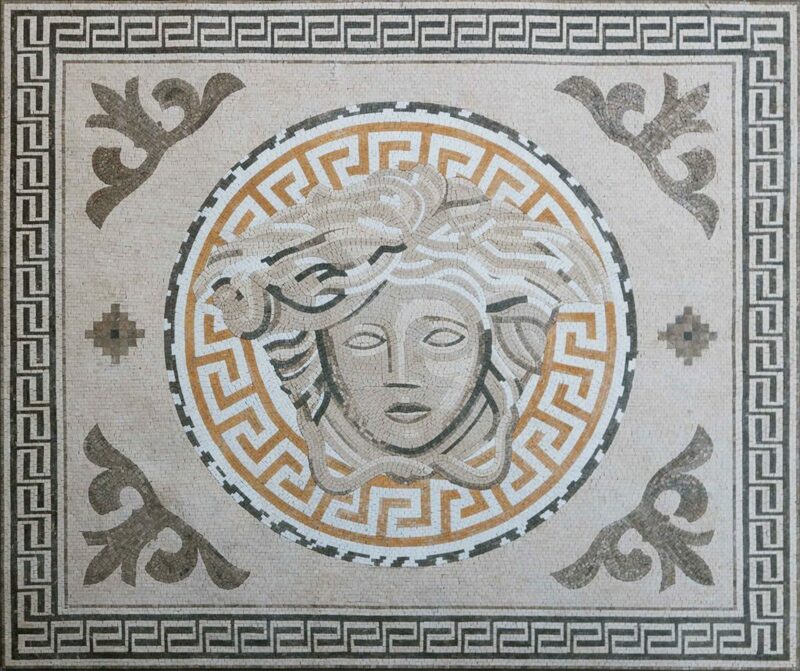 One can have the enjoyment of a more direct homage with a Versace mosaic design border, or add the classic appeal of mythological figures to your space. 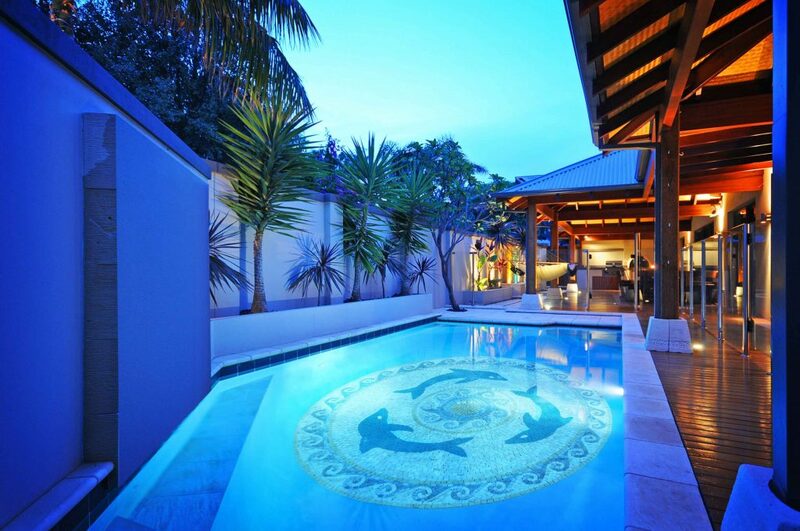 For a pool that Mr. Versace would very much approve of, mosaic installations provide a tribute that echoes the incredible pool space at the Mansion. When one considers the fact that the Versace label is still a global force in both fashion and home decor, it’s no surprise that visitors still flock to the Mansion, eagerly taking wedding and event photos by the incredible mosaic works that decorate the property. 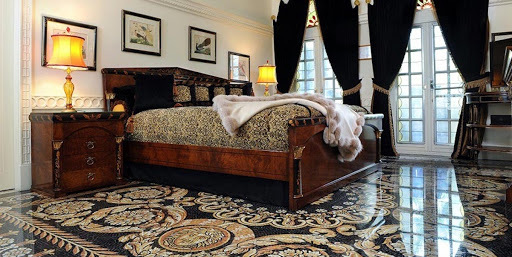 Be sure to check out our catalog for even more inspiration on how to try the Versace aesthetic in your own home.